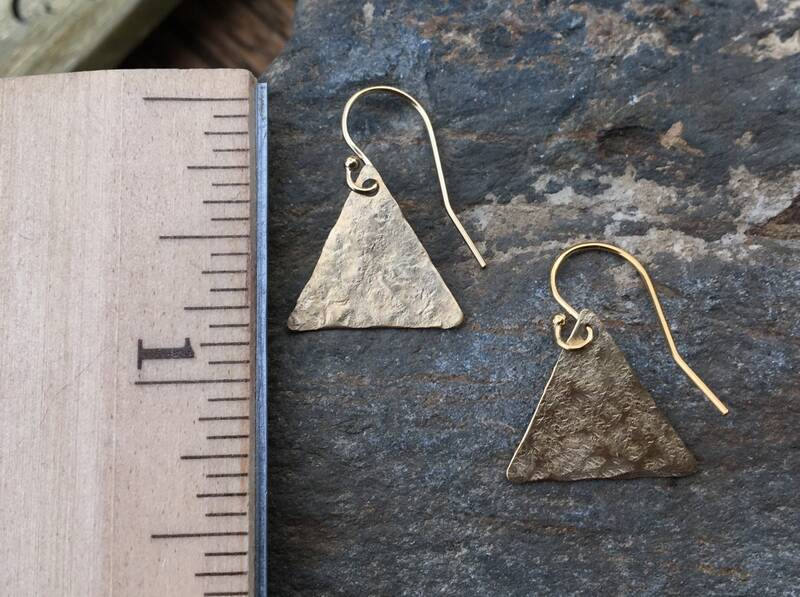 These fun brass triangles are hammered by hand. I then add 14k gold filled earring wires. 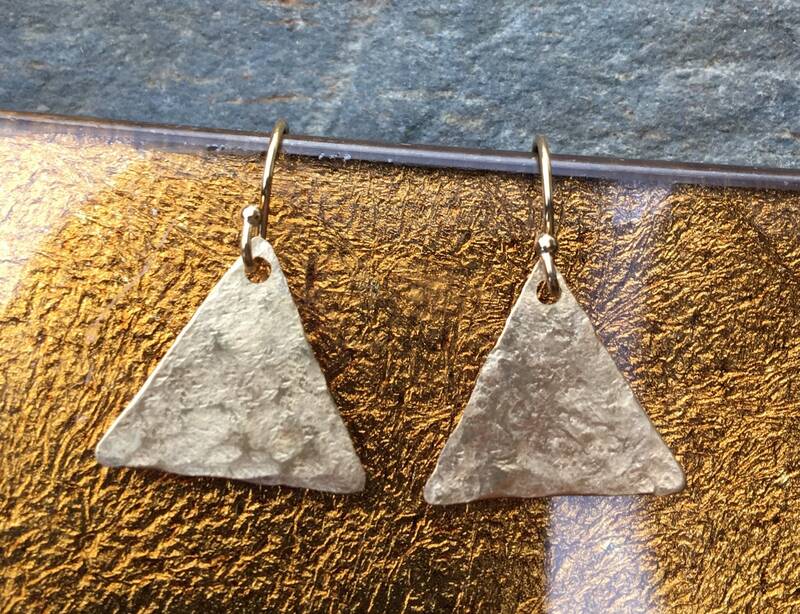 These earrings are light & comfortable. 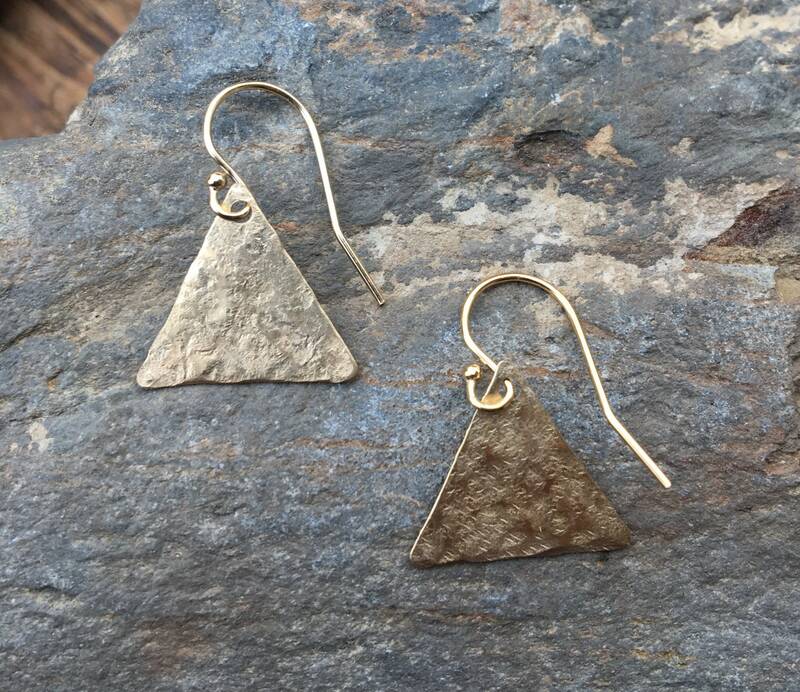 They are perfect to wear every day. They measure 15/16” long including the ear wire. I will include clear safety backs to keep your earrings secure.